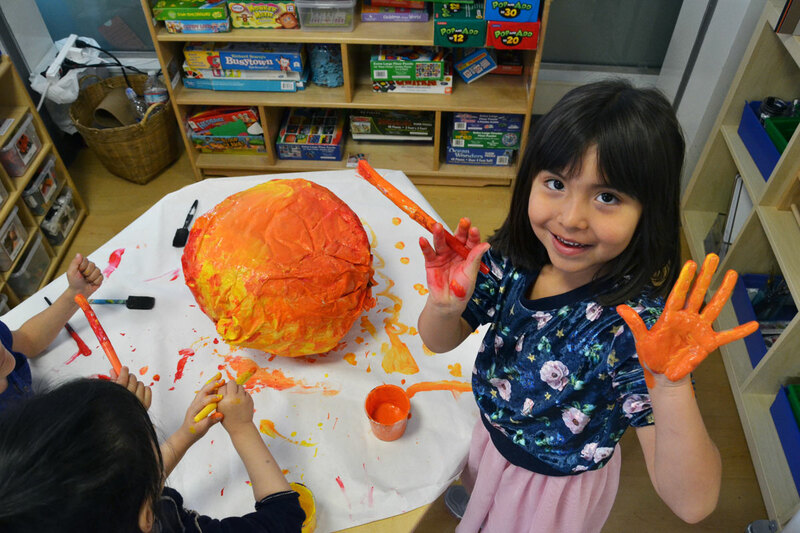 Foundational Elementary students at AltSchool Fort Mason build a sun during a class-wide study of our solar system. Our changing world needs creative thinkers and collaborative problem-solvers. Yet authentic learning and the development of social-emotional skills are often at odds with the expectations placed on educators to cover, assess, and document achievement within the confines of our existing system. In environments like these, the necessity for evidence and a report card grade can actually override some of the enabling conditions for growth and learning. Our traditional education system was designed for industrialized era; it was not designed to foster the types of learning experiences that meet the needs of all learners. 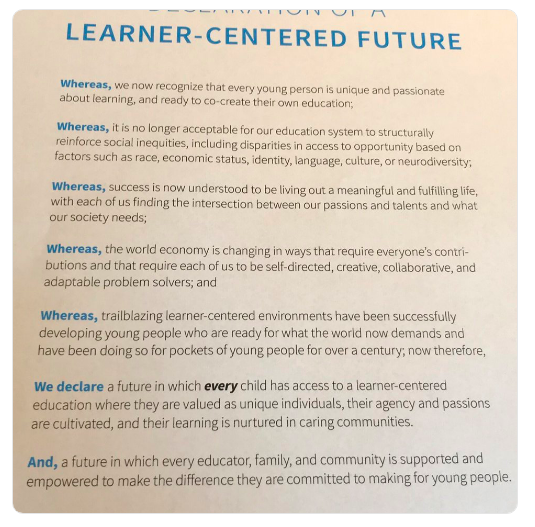 Healing this misalignment between our aspirations for learners and the outdated system in which many schools exist united thought leaders, policymakers, funders, practitioners, and students for the Education Reimagined Symposium in Washington, DC, on January 17. As a community, we celebrated the transformative impact that learner-centered education is already making for many young learners. Together, we took a step toward ensuring that learner-centered education models will someday be available for all learners. What Is a Learner-Centered Education? 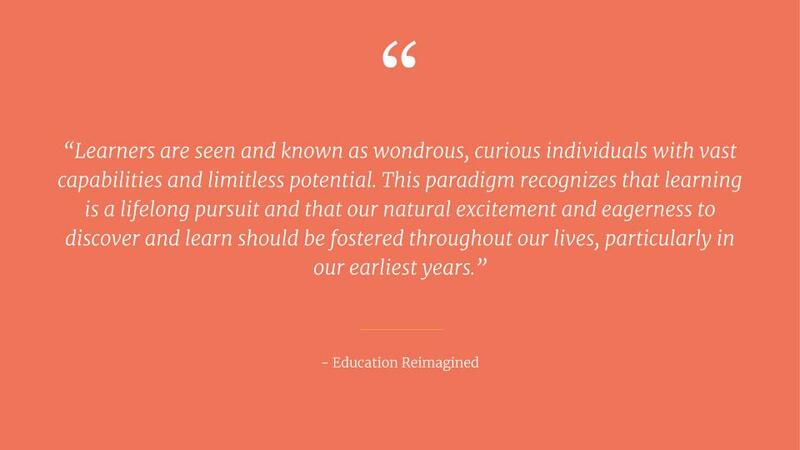 Education Reimagined defines the paradigm shift from teacher-centered to learner-centered education as changing how we see learners and their critical role in their own learning, now and throughout their lives. With this notion at the core of the symposium, we leveraged this opportunity to expand impact by thinking aspirationally and ambitiously about what the future may hold. As we increasingly shift our attention to equity in education, many focus on making sure everyone gets the same thing. However Todd Rose, co-founder and president of Populace and the author of The End of Average, presented from his research that systems that are responsive to the individual foster the most equity. He shared his personal story of being kicked out of high school as a teenager because he didn’t fit the norms of the standardized education system. He went on to receive a doctorate in human development. Since then, he has made many contributions to the education field as the director of the Mind, Body, and Education program at the Harvard Graduate School of Education. Yet he noted in his presentation that “as a kid you think something is wrong with you” when you don’t fit the typical learning model. To successfully create systems that are responsive to the individual, we have to begin by creating new and different milestones that better align to our world and the knowledge, skills, and mindsets that are needed to navigate it successfully. When we are oriented to broader, but more societally relevant, outcomes or measures of success, then we can think differently about the learners and the most effective learning experiences. Angel, Jasmine, and Megan shared personal stories of transformation as learners. She is not alone. Fellow learners Jasmine and Angel shared their experiences of being similarly disengaged in school and not seeing the connection between the classroom and their lives. 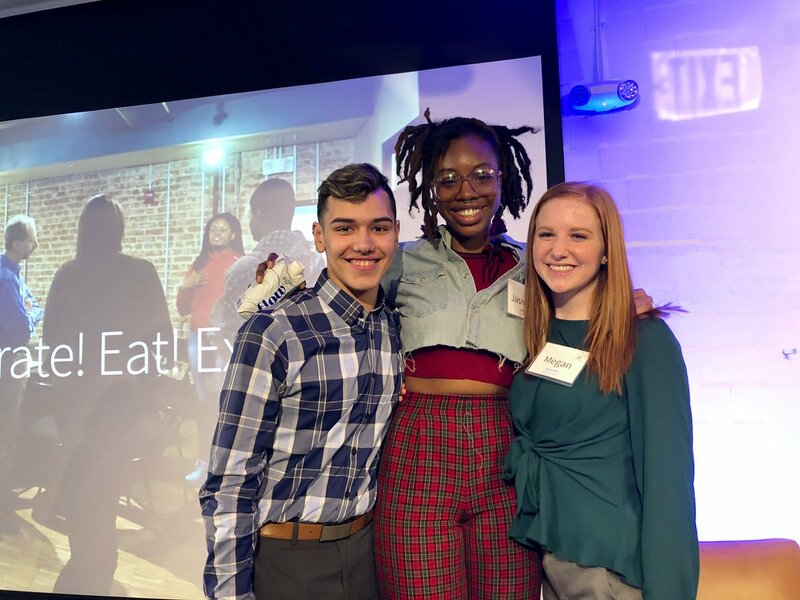 In contrast, when they transferred to the High School for Recording Arts and Camden Big Picture Learning Academy Middle School, they had the opportunity to explore and develop new passions and learn from peers and mentors. They could finally see how what they were learning connected to their current lives and future aspirations. This work is challenging and we can’t do it alone. It will take all of of us working together to create new systems and models that enable wide-scale access for all learners. I am so excited to be connected to a community that is committed to making this possible for all learners. Learn more about our partner program and our lab schools.